As of today, Other Machine Co. is officially Bantam Tools. It's been five years and one month exactly since we embarked on a journey to design desktop manufacturing tools for the classroom on a government contract. Through Kickstarter, venture capital funding, and acquisition earlier this year, the mission has never changed: we aim to dramatically increase the accessibility of CNC machines. In January of 2016, University of California San Diego opened the doors to their nearly 3,000-square-foot makerspace classroom called the EnVision Arts and Engineering Maker Studio. Fully stocked with a wide variety of design, fabrication, and prototyping tools, EnVision is housed in UC San Diego’s Structural & Materials Engineering building. As of today, we are finally caught up with our backlog and shipping Othermill Pro orders when they are placed. It seems like a small shift, but this is huge for us. Each time you make a new version and put it out into the world, it is just like launching a totally new product. Here are some cold hard facts about how long each iteration took. Recently we've gotten some inquiries asking what people are making with their Othermills. Projects range from introductory to advanced, and I thought I would collect some of the examples from the past two months in one place. It is impressive to see the volume of work being done out there. 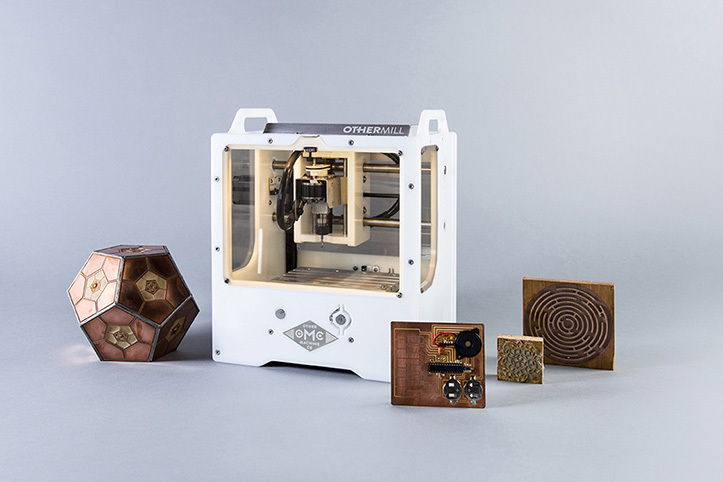 If you have a project or technique you'd like to share, email us at hello@othermachine.co. Whether you’re creating a campus makerspace from scratch or wanting to add CNC (computer-numerically controlled) machines to your space’s tool offerings, there are a number of logistical and safety concerns to bear in mind. Depending on the type of machines you’re considering and the rules and regulations of your campus, different categories of safety concerns may come into play. Occasionally, someone with an Othermill shares something truly out of the ordinary. This week, one of our Kickstarter backers, Alexander Reeder, showed us his project: a kimono made of fluttering butterflies (conceived and commissioned by Asami Kiyokawa). We haven’t done a ton of posts lately, but we’ve been busy! Last month, we finished our Kickstarter shipments. And today we are finally ready to talk about all of the work we have been doing behind the scenes.